← Paying Twice For the Same Work is Horrendous. What Can You Do About It in North Carolina? Rob’s tweet links to this article from Gary Rubin, a New York construction lawyer, about how to make arbitration more cost-effective. Gary discusses how parties can use the contract negotiation phase of their relationship to craft a better arbitration provision. He even suggests helpful language aimed at curtailing the duration of the hearings and the arbitrators’ authority to award certain types of damages. All of which crystallized something I’ve been thinking about in recent years: arbitration is not a “one-size fits all” deal. While in theory arbitration presents construction industry stakeholders with an attractive alternative to the very public, very long and very expensive litigation process, in practice, arbitration procedures and costs often elude the parties’ control. These are by no means novel thoughts on my part; a number of other observers have raised similar concerns (see here and here for a couple examples). The power to build a better dispute resolution clause is firmly within your control. Courts generally afford commercial entities the freedom to contract as they see fit and generally will enforce any reasonable alternative dispute resolution clause. That means what’s included in your next dispute resolution provision is limited only by two things: your imagination, and the willingness of the other side to agree to what you’ve drawn up. I’m not sure there’s a better example of this than the “mediation/arbitration hybrid” I previously blogged about — and which a federal court enforced here in North Carolina. Yes, I realize this sounds self-serving, but I recommend contacting an experienced construction attorney in crafting an ADR provision that’s right for you. Your role in such a collaboration is to express what you like and don’t like about arbitration; it’s the lawyer’s job is to find just the right “magic words” to convert your desires into legally binding contractual obligations. What do you think ? Has arbitration lost its luster? How would you build a better arbitration clause? 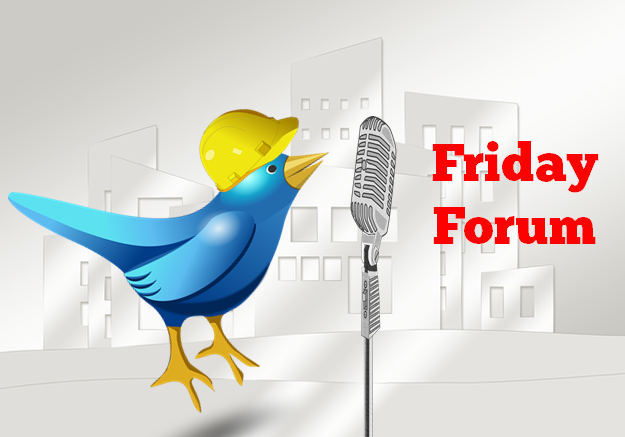 The Friday Forum microphone is on, and the floor is all yours.